Power to Change, the independent trust supporting community businesses in England, has announced today (Tuesday 27 March) that the next round of their flagship Community Business Fund will open in April. With £5 million available to be awarded in 2018, this will be the largest round of the fund in the trust’s history. The Community Business Fund awards grants between £50,000 and £300,000 to established community businesses that need funding for a business development project to make their organisation more financially sustainable. Over 900 applications have been received since it launched in April 2016, with a combined grant request value of more than £136 million. To date, over 90 organisations the length and breadth of England have been awarded grants with a combined total of £16 million. 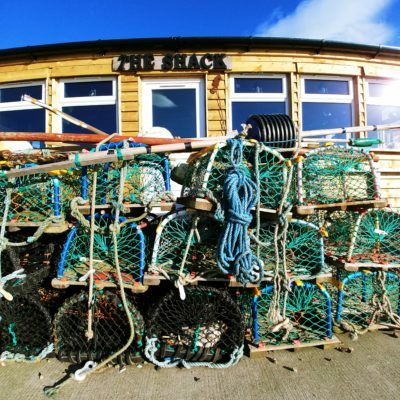 From community hubs to ferryboats, cafes to community-run cinema, even a lobster hatchery; the range of community businesses supported is extensive. The 2018 Community Business Fund opens at 10am on Tuesday 24 April and applicants have until 12 noon on Tuesday 22 May to apply. Organisations can start to prepare their applications from today by visiting Power to Change’s website and downloading the guidance which details the eligibility requirements for the fund and lists all the application questions. Organisations can sign up to the Power to Change newsletter to be kept informed as to when the online application form goes live. We’ll be making grant awards to the successful organisations later this year, between August and November 2018. So if you have a project based in England you want to get off the ground this year and you meet each of the 12 criteria listed, make sure you apply! The next round of the Community Business Fund will open in September 2018, with grant awards being made in early 2019. There will be further rounds in 2019. Power to Change will host a webinar on 26 April to give hopeful applicants an overview of the fund and its eligibility criteria. This is also a great opportunity for community businesses to ask any questions they might have about the application process. Register for the webinar here. BE Group, Power to Change’s grant partner for the Community Business Fund, can answer any questions applicants have about this fund either by phone 0300 1240444 or via email cbf@be-group.co.uk, or webchat https://www.powertochange.org.uk/funding/grants/community-business-fund/. 2. Power to Change is an independent trust, whose funding is used to strengthen community businesses across England. 3. Follow Power to Change on Twitter at @peoplesbiz and visit www.powertochange.org.uk/ for the latest community business news.